A1 Passport can get your U.S. passport fast— within 24 hours in urgent conditions, depending on the exigency of your travel date! 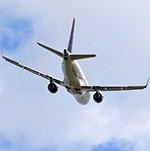 Click here for adult passports expired less than 5 years. Click here for services if you have never held a U.S. passport. 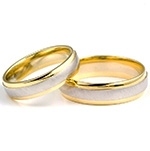 Click here for services for those under the age of 16 years old. Report your loss immediately and then click here to start new. 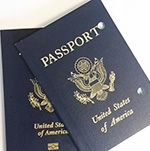 Click here if you believe you may be eligible to hold two U.S. passports at the same time. Click here if your name changed or you need an amendment due to error. Click here if you travel often and need room for visas and entry/exit stamps. Click here if your passport was mutilated or badly damanged. A1 can’t help with non USA passports; contact consular services at your embassy/consulate. A U.S. passport is arguably the most precious document in the world, and certainly one of the most coveted. Click below and we’ll go over the U.S. passport’s history, what a passport does, and demystify some of the jargon you may have heard about the newer biometric U.S. passports. Did you know that the history of United States passport, or “U.S. passports” begin with the birth of our great nation? It’s true. American consular officials first began issuing passports in 1775–1783 during the War for Independence. America continued to innovate and improve upon its passport over the years. The United States was the first country in the world to introduce machine-readable passports in 1981. The modernization and improvement to the passport book doesn’t stop there, either. 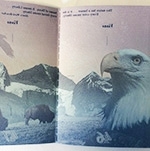 In particular, the biometric passport book, issued in 2007 and beyond, has been praised for its synthesis of the paper and electronic medium. Welcome to the digital age! Now that we’ve explained a brief history of the U.S. passport, let’s talk about the U.S. passport book itself. The sensitive electronic chip in your passport stores an image of your passport photograph, selected passport data, and your personal data as well. It also has the storage capacity to hold additional data if need be. 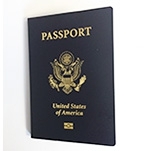 A1 Passport and Visa Express suggests keeping your passport book closed when it’s not in use because the cover of your U.S. passport book contains a radio-frequency shield. Put another way, when you have your passport shut, your personal data can not be collected by scannable readers. We’ve covered history and biometrics, but it’s crucial to understand what a passport actually does. A passport identifies the holder (you) as a citizen of the issuing country, and respectfully asks that he or she be allowed to enter and pass through the other country without tarry. The U.S. passport also requests further that, when and if appropriate, the bearer be given help that is consistent with the international norm (i.e. “lawful aid and protection,” should the need arise). There are so many reasons to travel abroad in our globalized world, whether it’s for business, pleasure, or academic pursuits. According to Harvard University, “studying in another country gives you incredible experiences, makes you a more informed and empathetic global citizen, and creates lifelong memories.” Even if you don’t have travel plans, every eligible citizen and non-citizen national of the United States of America should have his or her passport as an identity document. 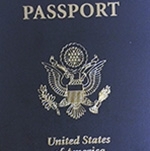 U.S. passports are issued exclusively through the U.S. Department of State. And only certain registered companies, such as A1 Passport & Visa Express, can act as emissary on your behalf. A1 Passport & Visa Express is registered and licensed with the Washington Passport Agency to hand carry your documents for prioritized processing without an appointment. Simply click on the type of service you require above. A1 Speed and Saved Time. When you choose A1 Passport & Visa Express, you don't need to wait in lines, nor make an appointment at the passport office. We have obtained passports for clients in as little as the same day. Our prime location on K Street in Washington D.C. gives our clients some of the fastest passport service in the USA. In passport and visa business for over 23 years, find out for yourself why so many people use A1's private, secure and fast services! Client security is a top priority at A1. In the age of the Internet, and with the stories filling the recent news headlines, you can never be too careful about your security. That's why we don't accept online payments. While we pride ourselves on our A1 speed, we also offer slower services for customers. Whether he or she is apprehensive using the postal method for obtaining a passport, or simply prefer having his or her documents carried by hand. Even our slowest service has a speedier turnaround time than the mail! We don't share anything about you with anyone. Ever. Being a small owner-operated business has its distinct advantages. A tiny office means that only a couple of qualified individuals are looking at your documents. Documents are then secured, concealed, and hand-carried by us directly to and from the government. After your case has been processed, original documents are returned to you, and any spare paperwork is shredded for your safety. Aside from your receipt, we never store information about our clients in print or electronic form, nor do we share information about our customers with anyone other than the passport agency. We return ship in a security envelope via FedEx. If you are local to the Washington D.C. area, feel free to collect your completed file at our office in person. "The U.S. passport is the most valuable identity document in the world as it establishes American citizenship and allows its bearer access to virtually every country in the world." "A passport from a country on good diplomatic terms with its peers is a powerful tool, allowing holders to travel across borders with ease ... Developed countries with advanced economies fare the best. 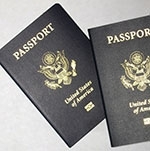 Tied for first place are U.S. and U.K. passports, which give holders access to 147 countries."